Like seriously, What will you do with Smartphone powered by 12GB of RAM? Like seriously, I don’t what to do with it. Even my PC is not 6GB RAM and is working well. So why should I think of 12GB RAM for just one smartphone? huh? And even 1Terabytes Internal storage self. 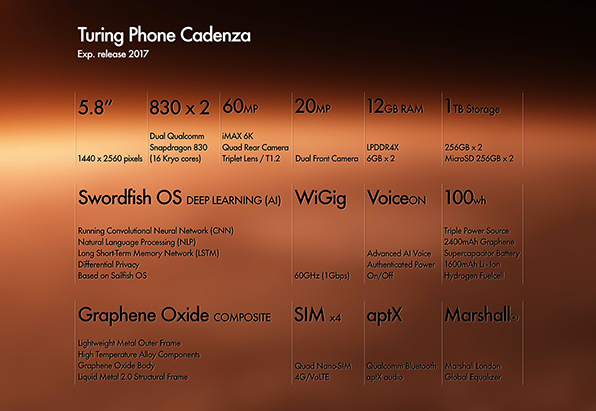 a new phone called Turning Phone Cadenza and is said to be available in market by 2017 and will comes with insane 12GB of RAM and 1Terabytes internal storage. wtf!! Swordfish OS with deep learning (AI) features. Over to you, What will you do with Smartphone powered by 12GB of RAM? Infinix Note 5 Vs Note 5 Stylus: What are the differences?